We all feel good while watching movies on big, slim, and sleek televisions. The images seem like real, but the sound that emerges from the screen does not match to the pictures. As a result, most of us want to get additional speakers to amplify the sound for better audio. A soundbar is the easiest option to make that happen. When on this mission, where do you begin looking for the best soundbar? What should you even pay attention to so that you can select the best unit on the market? Worry no more if you have wanted to get answers to these questions since here is a review of the top 7 soundbars under 100 bucks and a buyer’s guide. I urge you to read on and get one of the reviewed products to avoid purchasing a unit that is not worth the buy. 1. Active or Passive - Do I get an active or passive soundbar? This is one of the questions to answer before spending any cash. An active soundbar houses everything you need to amplify audio in one box, while a passive soundbar requires you to connect an amplifier or receiver. As such, determine your needs first and let that guide you to the best option. For instance, if you need a sound bar that is easy to set up and clean, better opt for an active type. On the other hand, if you need a soundbar that will let you choose your receiver or one that will let you connect more sources, better opt for a passive soundbar. 2. Placement options - Where do you plan to place the sound bar? Will you put it on the TV stand, under the TV set, or will you mount it? There are several reasons why you need to determine this, the most crucial reason being the available space. If you plan to place the soundbar in front of the TV, ensure that it will not block the remote control beam. After all, you do not want any interference when operating the TV from a remote since that will interfere with your comfort. 3. Number of channels - How many channels do you expect the soundbar to feature? Note that soundbars are available in a variety of channels including two, three, five, and seven. 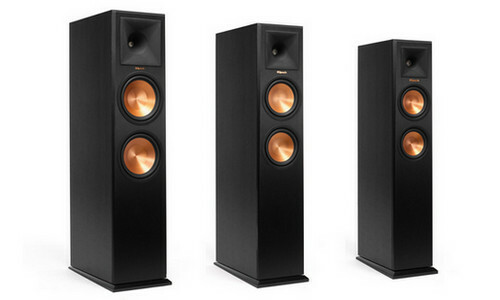 So, to determine the best, decide whether you simply want to amplify the sound, or listen to true surround sound. If you want to amplify sound, then you are good to go with a two channel system. On the other hand, you will need more channels for surround sounds. 4. Connectivity - A good soundbar needs to be compatible with a lot of inputs. As a result, it is essential that you check for a soundbar that features diverse input ports since you might want to amplify various audio signals apart from that on your TV. As such, look for a unit that features a coaxial digital input, RCA AUX input, 35mm audio input, among others. That way, you can be sure to have a system that will let you connect a variety of wired devices. Besides getting a soundbar that supports wired connections, you will want to get one that will let you pair wireless devices via Bluetooth or Wi-Fi. After all, that is the only way to get the best value for money. So, if you will be using a smart TV or Bluetooth-compatible devices, better opt for a sound bar that features built-in Bluetooth. Also, you might want to select a wifi compatible soundbar if you want a multi-room music system. Now that you know about some of the things you need to look for when shopping for a Soundbar, it's time for the actual reviews of the products. Bring all media content to life by amplifying the audio with TaoTronics Sound Bar. It supports dual wired and wireless installations, meaning that you do not have to worry when you want to transmit audio wirelessly or through a wire. As a result, you can stream audio over Bluetooth from 33ft or connect using RCA connectors or the included optical cables. You can get the soundbar when you want to listen to deep bass audio since it features four powerful speakers. These are housed in the 36" length soundbar where two specialize in mid-low frequencies, while the other two cover the full audio spectrum. What's more is that you can get it when you need a soundbar that is easy to operate. The reason behind this is the included remote, and the in-unit buttons that let you choose how to operate it. Better yet the soundbar features an LED that shines in different colors making it easier to operate. Once you get it, mounting shouldn't be a problem since it can be mounted on the wall or set on the furniture below the screen. The soundbar is a perfect choice for people who have a small space yet those who need a stylish soundbar since it features an ultraslim and sleek design. With it, you can be sure to have a perfect match for a TV setup due to the elongated construction that blends in with the home theater set up. Taking the second position is VIZIO SB2920-C6 Sound Bar which is a perfect choice when you want to upgrade to premium audio. It delivers 95db of room-filling crystal clear sound that features less than 1% of total harmonic distortion. Because of this, you can get it with an assurance of listening to a high-quality sound. Whats more is that the soundbar features two powerful full-range stereo speakers. These make it a perfect choice when you need to boost your audio, and better yet when you need your entertainment to deliver fantastic sound. Something else that makes this soundbar a great addition to any entertainment room is the DTS TruVolume and the DTS TruSound technologies. These help the unit to deliver a consistent and comfortable volume as well as a realistic surround sound. As such, you can be sure to benefit from the best multimedia experience. The soundbar is Bluetooth compatible to allow to stream music from a tablet, smartphone or laptop. Also, it is easy to set up, where it requires that you plug it in, connect it to TV or Bluetooth-compatible devices and finally sit back and enjoy. You can use the soundbar in any room, thanks to the minimalist body style that blends into any decor. Because of this, you can get it as a gift for a friend with an assurance that it will not get rejected. Experience the best audio experience with AmazonBasics 2.1 Channel Bluetooth Sound Bar. It is a 2.1 channel system that features a built-in subwoofer and powerful speakers. Because of these, it can deliver pure and crystal clear sound that features 1% total harmonic distortion to assure you of high sound quality. Whats more is that can deliver up to 100db of power and 36W RMS power. 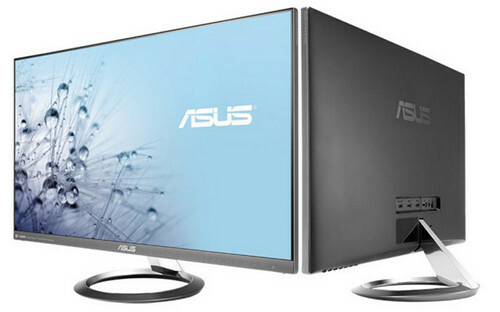 This lets you experience powerful wall-to-wall expansive audio. You can obtain this unit when you need a soundbar that will take little installation space. The reason behind this is the long slim design that can sit on an entertainment unit or be mounted on a wall. More to that, you can get it when you need a sound bar that is easy to connect and one that will reduce cord clutter due to its ability to connect to Bluetooth devices for reliable wireless streaming. The soundbar adopts Bluetooth v2.1’s EDR technology to enable it to deliver fast speed and long battery life. On top of that is an audio/video remote control profile (AVRCP) that makes it possible for Bluetooth devices to control media playback. With it, you stream a one-way stereo signal to headphones or speakers via Bluetooth due to the Advanced Audio Distribution Profile(AADP). Also, you can set the sound it produces to match that of the type of audio due to the three sound modes. These include the standard mode for TV programs, news mode for dialogs, and movie mode for movie and game soundtracks. Another product from TaoTronics is this soundbar. It is a 34" 2.0 channel system that features four full range speakers and two passive radiators. Because of this, you can be sure to benefit from the required bass and better yet, a lively entertainment experience. More to that is that it features several input ports, among them a coaxial digital input, RCA AUX input, optical input and 35mm audio input. This makes it an ideal product when you want to amplify the sound delivered by wired entertainment devices. Besides supporting wired connections, the soundbar can support wireless connections. The reason behind this is its compatibility with Bluetooth devices where it can pair with them from 33 feet. You can be sure to have an easy time operating the unit, thanks to the dual operation modes. These include the touch metal controls on the soundbar and the remote control that allows you to control it from the comfort of the couch. You can get this unit when you need a soundbar that is built to last and one that will suit a lot of designs due to the robust materials and the modern high tech touch design. Also, you can get this unit when you need a soundbar that is easy to set up since it can be set up under a television or mounted on the wall. Are you looking for the best soundbar for TVs? If so, I recommend Meidong sound bar. It is a multi-connection unit that provides for more than one way of connection. As a result, you can connect it via RCA inputs, optical audio, or a 3.5mm stereo jack. On top of that, the soundbar is Bluetooth compatible. This means that you can use it to stream audio wirelessly once you connect to a phone, tablet, or smart TV. You can get this unit when you want to listen to a loud and dynamic sound, thanks to the built-in four powerful speakers. These emit a versatile range of sound and deep bass for the best entertainment experience. What's more is that you can get it when you need a soundbar that matches most decors due to the stunning design that adds a cinematic quality to any room. The soundbar features a compact design making it a perfect choice for small rooms. Also, it can be set under a TV or mounted on the wall so that it does not take up a lot of space. With it, control shouldn't be an issue due to the included remote control that lets you adjust the volume and audio from across the room. Also, the soundbar includes in-unit buttons that enhance ease of operation and an LED that shines in different colors to match various functions. On the sixth spot is TaoTronics Sound Bar which is an updated version of the old model. It measures 25 x 5 x 4 inches so that you will never have to worry when you do not have a spacious room. 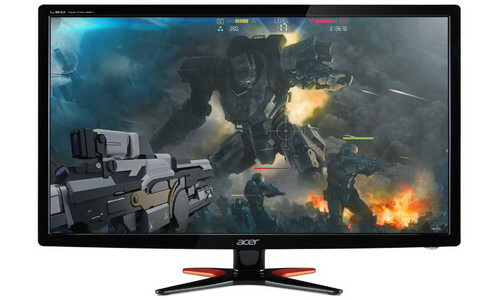 Better yet, it is wall mountable, while it can sit below the TV screen so that it does not consume additional space. As a result, it is a perfect choice when you need a soundbar for use in dorms, small apartments, or bedrooms. You can get the unit when you need a soundbar that can support wired connections since it features a 3.5mm audio input, RCA inputs, and optical inputs. More to that you can get it for wireless connections since it can pair with Bluetooth from 33ft. 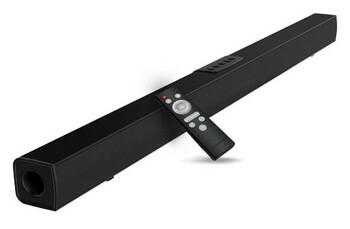 The soundbar is easy to use and operate considering that it can be operated using a high-sensitivity IR remote control. 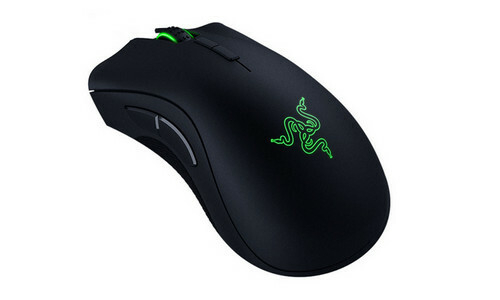 Also, it includes LED lights that display different colors based on the functions to enhance ease of use. With it, you can listen to pure and unaltered audio due to the included optical cable. You can expect the soundbar to come with a power cord, RCA cable, remote control, and an optical cable. Featuring three modes to select from, this is one of the best soundbars when you need to listen to audio from a variety of devices. Comprising the three modes is the Bluetooth mode, TF car mode, and Line In mode. These are easy to use so that you can be sure to have an easy time using various devices to play music. 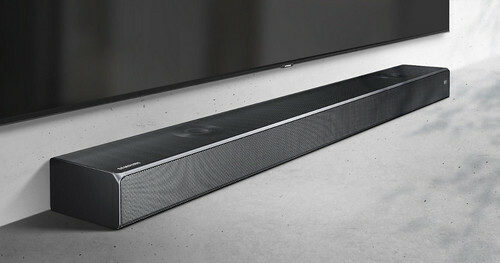 Another pretty feature of the soundbar is that the Bluetooth 3.0 technology adopts PF technology. This enables it to pair with devices that are 10 meters away. You can get the soundbar when you want to stream music directly since it supports A2DP, AVRCP, HSP, AND HPP formats. Also, you can get it when you need to listen to quality audio due to the distortion-free effect, super bass sound, and the distortion-free maximum volume. The unit derives its power from two 5W drivers to enable it to deliver strong sound. On top of that, it features a built-in subwoofer that that assures you of a high-quality sound. You can use the speaker when you want to answer calls, thanks to the built-in microphone. With it, you can connect wired devices via the 3.5mm audio port that lets you connect it using a 3.5mm line-in jack. The speaker features an LED indicator light and a bottom spin that enhances ease of operation. More to that is an anti-magnetic and anti-noise design that makes it convenient to operate. For sure, getting the best soundbar for your need is not that simple having in mind the lots of soundbars on the market all claiming to be the best. For this reason, I recommend that you consider getting one of the reviewed products since we selected these after a detailed research. With these soundbars, you can be sure to listen to high-quality sound for a lot of years to come.